Seasonal allergies affect nearly 17 million adults each year. 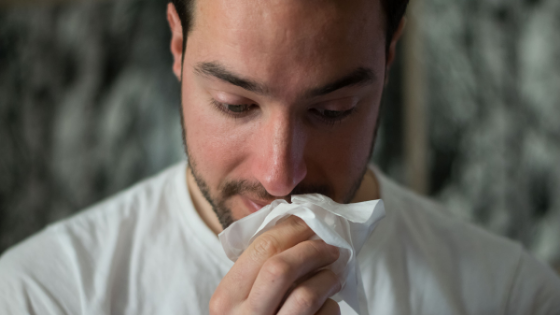 Are you looking for ways to alleviate seasonal allergy symptoms this year? Here are seven tips you can use right now. Airborne allergens from the outside can enter your home through open windows even if you have screens in place. The population of allergens often peaks at night when you’re sleeping. To wake up refreshed if you have allergies, keep windows closed a night. Pollen that’s fallen on the ground can adhere to the soles of your footwear when you walk outdoors. If you do suffer from allergies, it’s a good idea to remove shoes and sandals at the door so you don’t track allergens into your Suwanee apartments. HEPA filters are specially made to remove allergens down to about 0.3 microns in size. They cost a bit more than regular filters, but most allergy sufferers feel they’re worth the extra investment because they do reduce the number of allergens released into the air while vacuuming. Another step you can take to battle seasonal allergies it to replace vacuum bags frequently. It’s nearly impossible to not have a little bit of dust escape from the vacuum while using it, even when you use HEPA filters. For best results, replace your vacuum bags frequently. Don’t wait until they’re practically bursting! In Georgia, the humidity levels often rise to uncomfortable levels for allergy sufferers. To battle seasonal allergies, use a dehumidifier in your Suwanee apartments. Running the air conditioner will also help to dry out the air. It sounds crazy to suggest you stop dusting, but actually, when you dust, you’re often simply moving dust around and releasing more dust particles into the air. Instead of dusting, vacuum surfaces with the appropriate vacuum attachment. This way you’ll actually be removing dust instead of moving dust. You can then polish furniture afterward to achieve the sheen you may desire. Mattress and pillow protectors are convenient for allergy sufferers because they are removable and washable. Remove them from the bed and wash them in hot water and soap at least once a week to remove dust mites and other allergens. These eight ways to halt seasonal allergies may just be enough to ensure a sneeze and itch-free allergy season. Are you looking forward to seeing the Suwanee, GA apartments in person? Contact us today for a personal tour!